Thanksgiving-light trading extended into Asia on the final trading of this week, with persistent broad-based US dollar weakness having caused most majors to consolidate in tight trading ranges. However, the Yen emerged the weakest across the fx board, despite solid Japanese manufacturing PMI report and negative Asian stock markets. The Kiwi also remained on the back foot after New Zealand trade figures disappointed. Meanwhile, oil prices traded mixed and gold traded little changed near $ 1292 levels amid thin liquidity. Japanese manufacturing activity expanded at the fastest pace in more than three years in November, a preliminary survey showed today. Reuters report says the Bank of Japan (BOJ) decreased purchases of 25-40 year Japanese Government Bonds (JGBs) to JPY 90 billion from JPY 100 billion previously. The results of a consumer confidence index conducted by the polling firm YouGov and the Centre for Economics and Business Research (Cebr), a consultancy, showed on Friday, the confidence levels in the British households have been the weakest since immediately after last year’s Brexit vote. The US-based ratings agency, Fitch ratings, is out with its latest review on the Chinese banking system, with the key points (via Reuters) found below. Bloomberg reports comments from the Russian Energy Minister Alexander Novak, as he speaks to the media on the OPEC output cut extensions. The session ahead remains absolutely light in terms of the economic events, with the only German Ifo business survey due on the cards. Also, the second-liner data in the UK’s high street lending data. From the US docket, the flash manufacturing and services PMI releases will wrap up a holiday-shortened week. Besides, ECB policymakers Constancio and Coeure are scheduled to deliver their speeches at 1230 GMT and 1815 GMT respectively. The EUR/USD pair extended its overnight range-trade around the midpoint of 1.18 handle into Asia this Friday, as a lack of fresh drivers combined with holiday-thinned trading now leaves the rates at the mercy of the German Ifo business surveys for some fresh trading impetus. GBP/USD continues to trade in the sideways manner around 1.33 amid Thanksgiving lull. 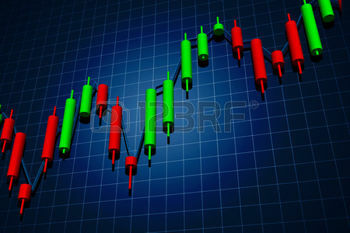 The currency pair witnessed a much-awaited big break above the 50-day MA on Wednesday.